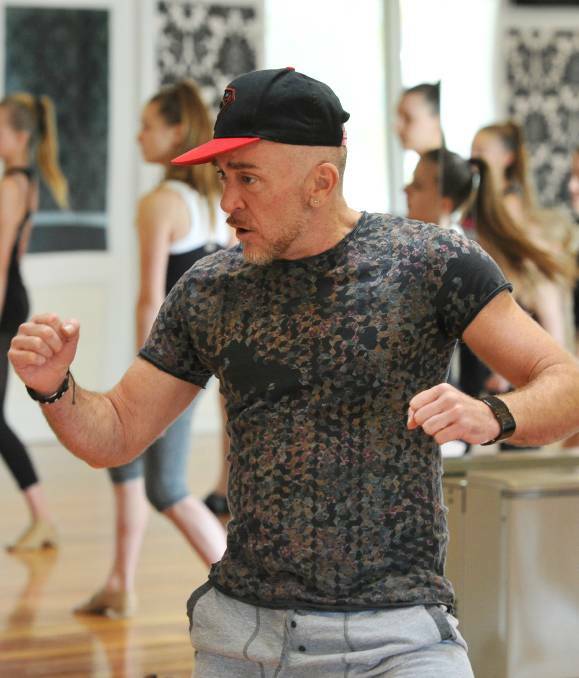 Jason Coleman's Ministry of Dance is proud to host weekly dance and performance workshops for primary and secondary schools, tertiary programs, dance studios and multi-cultural community groups. These intensive programs are catered individually and are based around the curriculum and needs of the students. Jason Coleman's Ministry of Dance School Workshops involves all things performance and dance in an unforgettable experience that aims to give your students knowledge and understanding about the professional world of entertainment. Schools are able to book the following workshops in an excursion or incursion package. The workshops are filled with information giving students the ability to trial different dance styles, understand the history of dance, speak with industry professionals and gain an understanding of what it would feel like to be a professional dancer for the day. Jason Coleman’s Ministry of Dance is passionate about connecting communities and using the love and joy that dance brings to combine together people of all areas and backgrounds. Jason Coleman's Ministry of Dance is committed to expanding awareness in the community and developing performance opportunities to inspire and support fellow organizations that will enrich lives and assist in growing and strengthening not only individuals but also cultural groups, community organizations and regional Victorian areas. Designed for businesses and organizations which would like a point of difference at their next marketing meeting or planning day. We offer employees a weekly energetic dance and fitness class or a team building exercise for boosting staff morale. Jason Coleman’s Ministry of Dance is able to assist you in delivering a fun and personable experience to your next big or small corporate day. Jason Coleman's Ministry of Dance will provide you with one of our skilled choreographers to help you with your dance and workout team bonding experience. Our corporate team building activities work to build the personal bonds that are so important to teamwork, and teach your employees how to best work as a group. Simultaneously, the corporate team building exercises are innovative, original and fun! Our specialist workshops enable participants to learn specific styles of dance by an industry professional choreographer or facilitator. This session may be in the form of private tuition, lesson plan assistance and development, ongoing training, workshops, choreographic programs, seminars and industry talks. These specific workshops are tailored for the needs of the participants and can be set in an all styles of dance including Jazz, Tap, Contemporary, Ballet, Acrobatics, Hip-Hop, Musical Theatre, Ballroom, Acting, Vocal and also include safe dance practices, elements of dance and technique. Each choreographer is hand selected according to the style of dance and needs of the participant. Jason Coleman’s Ministry of Dance also extends opportunities for specialist workshops with International choreographers. Class discipline and work ethic – Paying strict attention to teacher/choreographer in classes and rehearsals and practising choreography individually. Confidence and self esteem – Performing in front of other student members in class and performing to public audiences. Individual thinking – Communicating ideas, sharing personal feedback with Teachers and peers. Safe Dance and Performance practice - ensuring participants are using safe techniques in fully equip environment. We have had nothing but positive feedback from the workshops. We can’t wait to have you all back again! This was, by far, the most inspirational, fun and exciting workshops we have EVER been a part in. The kids were on cloud nine Saturday night and Sunday and they were still buzzing yesterday! Jason, Jess, Kenny and Paul are ALWAYS welcome through our doors- the kids absolutely adored all of them!! We already have plans for another workshop so please let us know when they are not busy and local! !